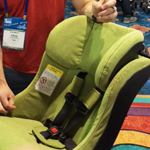 Today's Dear Boston Mamas query comes from reader Dina, who is looking for a convertible car seat that's easy to install in and out of rental cars. Though I became facile at installing Vi's infant car seat in and out of Zipcars, by the time she outgrew the seat we had acquired a regular car. So I turned to my friend Sheri Gurock, co-owner of toy and gear haven Magic Beans for a guest response. We are a car-less family with an 11-month-old child living in Coolidge Corner. Our daughter has just about outgrown her infant car seat and so we are looking to buy a convertible seat that we can use when we drive Zipcars. The seat must be light enough to carry to a car and relatively easy to install rear facing. Basically it seems like there are no good options for urban families who use cars occasionally. The best we've been able to find are 2 seats - the Cosco Seneca and the Combi Coccoro. However, the Cosco seems to be hard to install rear facing according to Amazon and the Combi reviews are conflicting about ease of installation. No one seems to carry the Combi in the Boston area so we can't really check this out for ourselves (Amazon will only let you return a seat if the box is unopened). Any advice? What do other car-less families do? Unfortunately, what you're looking for doesn't really exist. The seats that are the easiest to install generally have pretty hefty safety features, which keeps them on the heavier side. 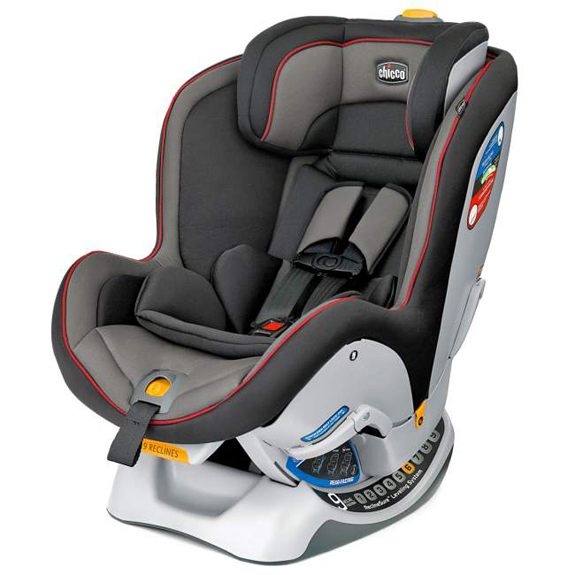 The reason you're reading conflicting things about the ease of use for certain car seats is because the installation will vary from car to car. In some cars, installing a certain seat will be a breeze, while in others it can be a 20 minute project. If you use Zipcar, you need to really become an expert with whatever seat you choose, since you're likely to be installing it in a few different ways, depending on the make and model of the car you're using on any particular day. My advice would be to look at the Chicco NextFit. It weighs 25 pounds, so it is not the most portable option, but it is extremely easy to install both rear- and forward-facing in most situations. The schlepping from your home to the car is probably a good trade-off for the quick installation once you get to the car. You can also get the Britax Travel Cart and use it to wheel the NextFit from place to place, rather than carry it. Another option to look out for is the new Clek Fllo, a compact convertible car seat coming from Clek later this summer. I haven't had a chance to play with it yet, but if it is easy to install, it could be a nice option for you. While I was researching this, I found a pretty awesome Google doc that lists the specifications for all convertible car seats, including seat weight. It might be useful if you're really committed to finding something lightweight. Whatever you choose, I'd recommend making an appointment with a CPST. Explain your situation and ask the CPST to tell you as much as s/he can about your particular seat. Learn how to install it with LATCH and with a seatbelt, and practice it in a few different positions in the back seat. That way, you'll have the training you need to feel confident installing the seat in a variety of different situations. Thanks for writing in Dina, and thanks so much for your guest response Sheri! If you have a question you'd like to submit for Dear Boston Mamas, e-mail it to: editor@bostonmamas.com with "Dear Boston Mamas" in the subject.